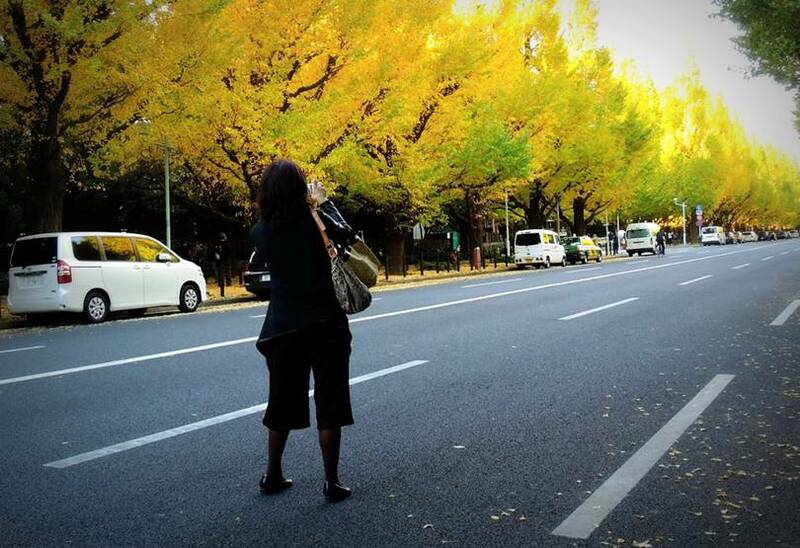 One of the famous colored leaves spots in Tokyo, gingko trees in Jingu Gaien. 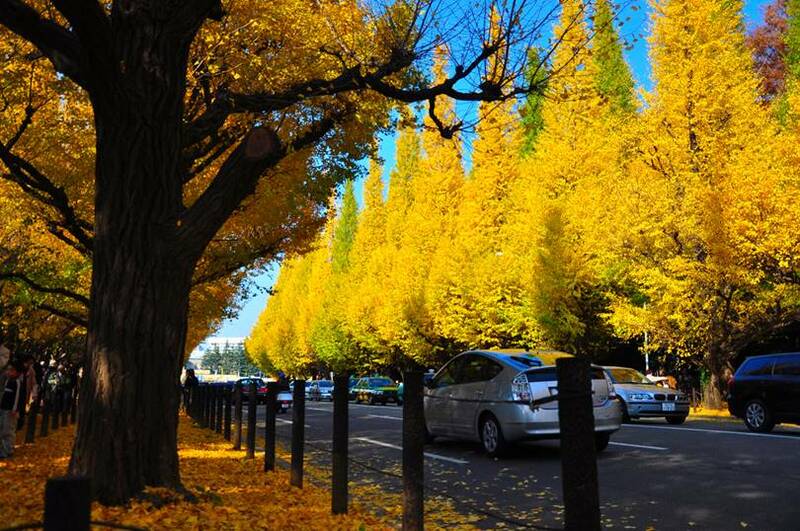 A golden ginkgo grows beautifully in the season, and many people go to this tree-lined road ginkgo avenues called “Icho Namiki Avenue”. 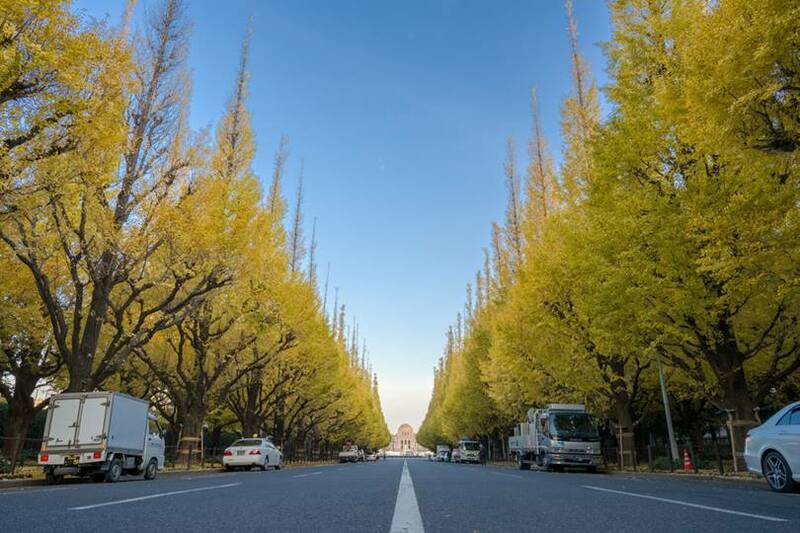 The Meiji Jingu Gaien is not only a baseball stadium, but in autumn 146 ginkgo trees lined with trees of about 300 meters will appear turn into golden colour. The Meiji Jingu Gaien Ginkgo. 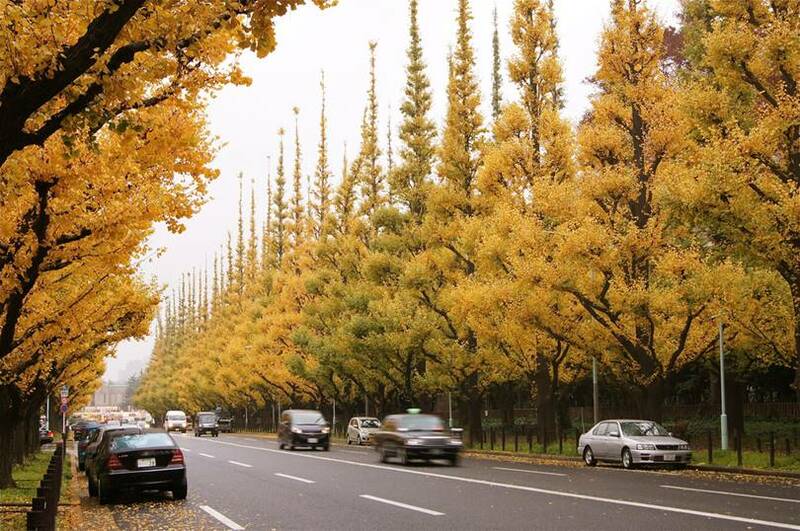 A row of ginkgo trees is about 2 weeks from late November to early December. Meiji-jingu Gaien - one of the business cards of tourist Tokyo. 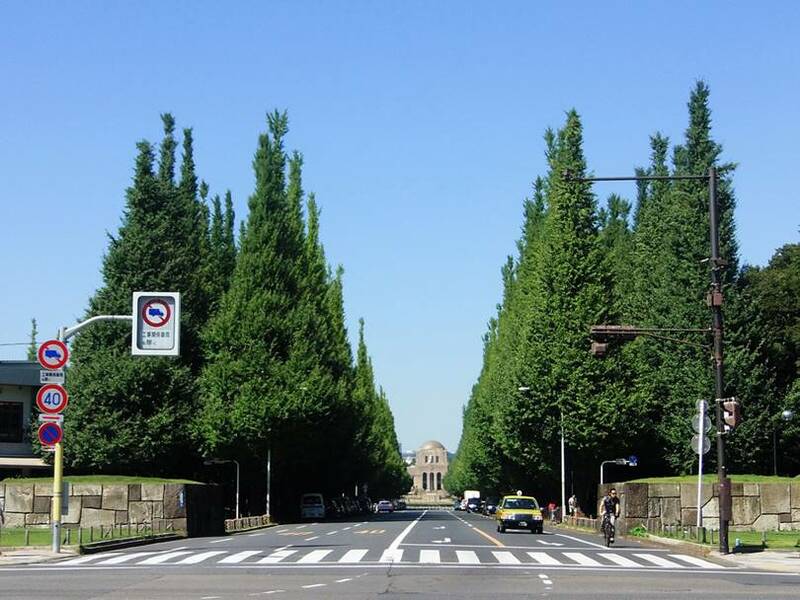 Unusual giant trees are known to many, because they are considered to be a symbol of Japan. 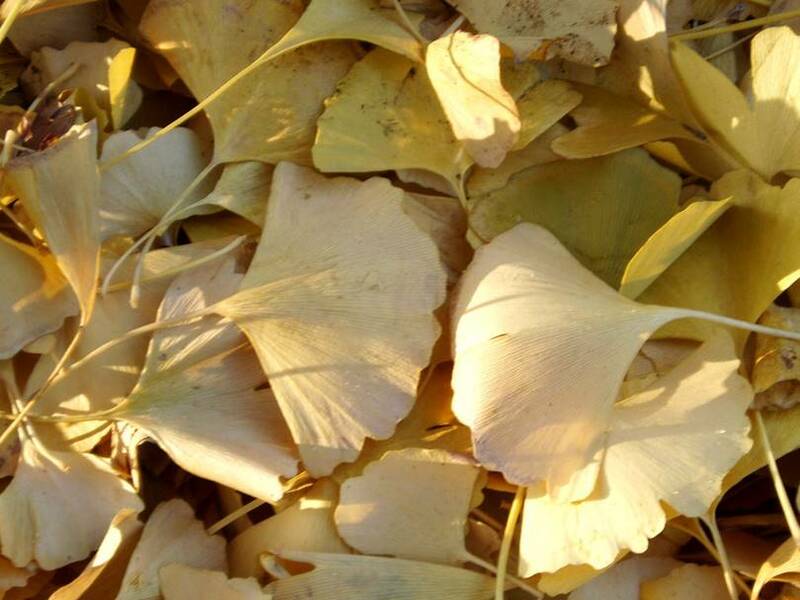 The Japanese have a special attitude to ginkgo: they consider it a sacred tree and, moreover, its healing properties are highly valued. 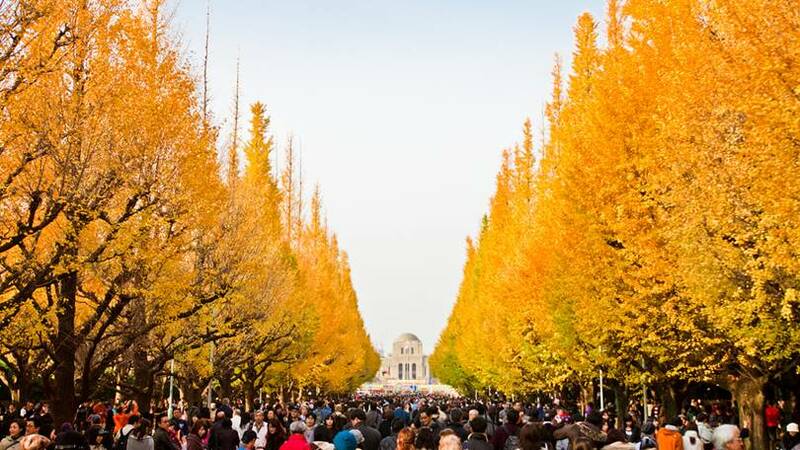 Interestingly, several ginkgo trees even survived in Hiroshima after the atomic explosion, so that ordinary natural disasters and any pests are not afraid of them. 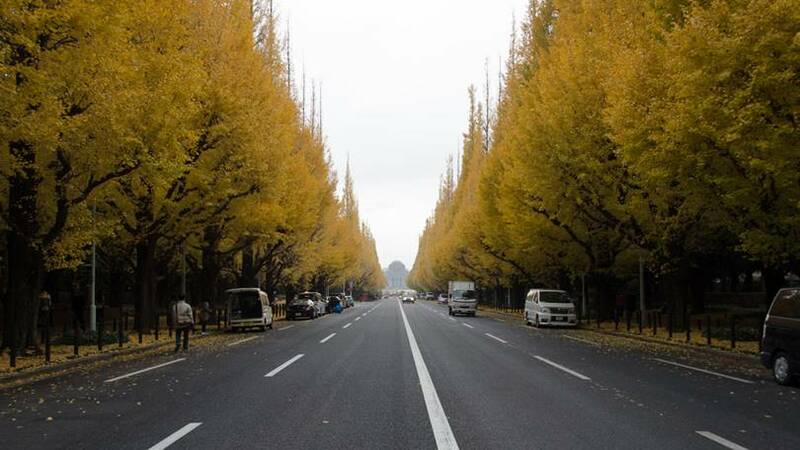 The street along which the 300-meter alley of ginkgo runs is called Icho Namiki. 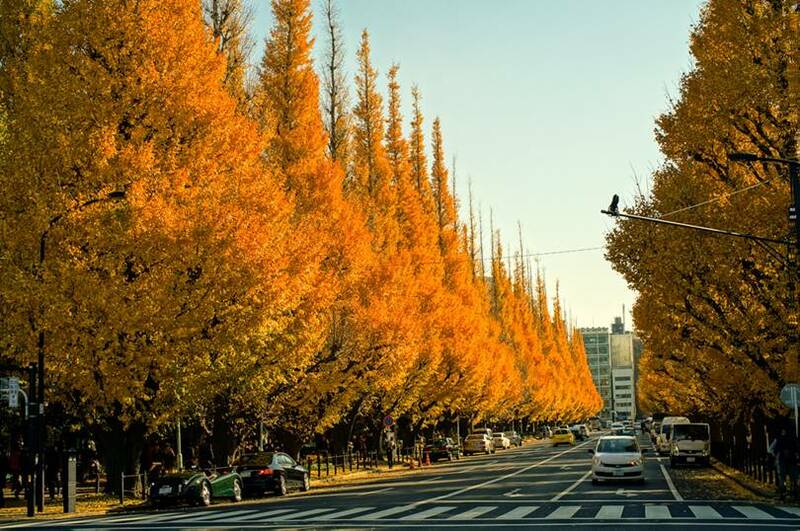 They are neatly trimmed every year, and in November, all residents and guests of the city can admire incredibly beautiful crowns of trees resembling lighted fiery-red candles. 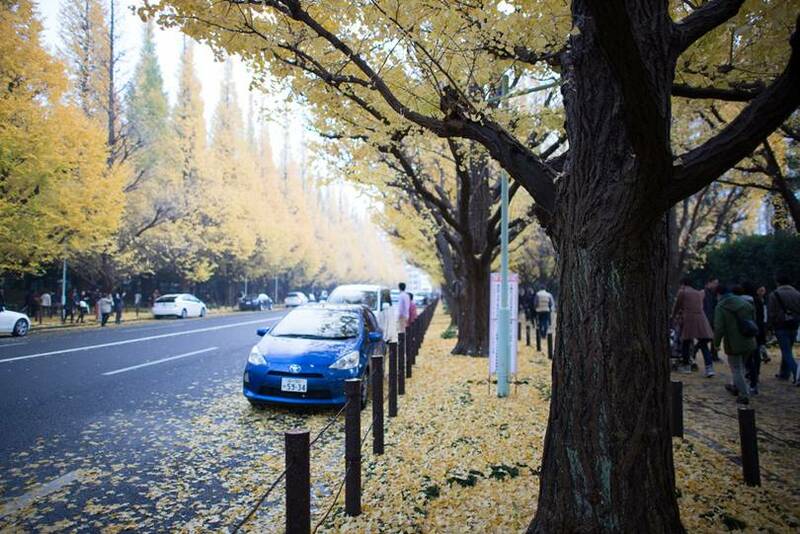 Fallen leaves form a solid carpet, for some time they are not collected, allowing tourists to enjoy a walk on the golden ocean. Many come here for a walk, and artists and photographers go on the open air. 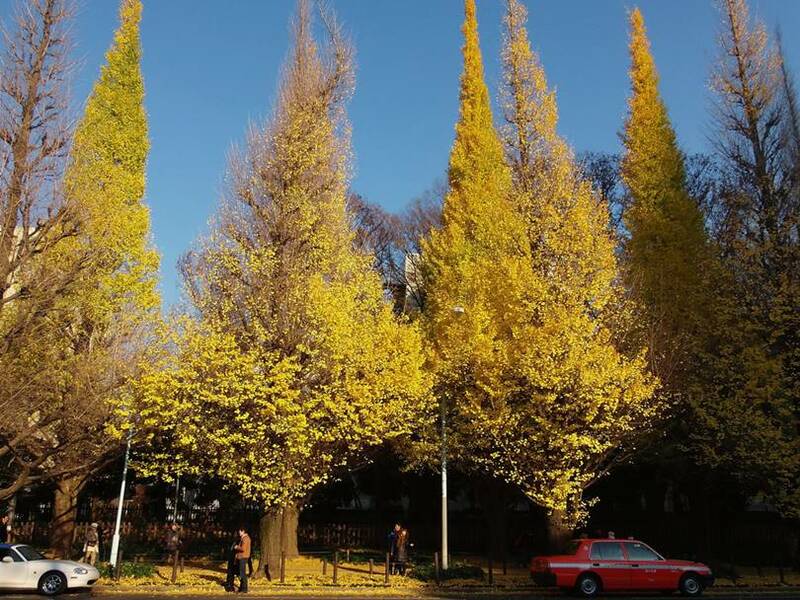 The trees of autumn yellow leaves are beautiful, but of course the summer fresh green ginkgo trees are also cool and refreshing impression, Because the giant shields the sun well, the roads are mostly in the shade of trees.